Greece - Since the beginning of 2016, IOM estimates that 31,244 migrants and refugees have arrived in Greece by sea. This is some 21 times as many as the 1,472 recorded by the Greek Coast Guard for the whole of January 2015. The number suggests that the number of maritime arrivals in Greece in 2016 may significantly exceed the record 853,650 migrants who arrived in Greece by sea in 2015. Some 48 per cent of Greece’s 2016 arrivals have been Syrians, 29 per cent Afghans, 12 per cent Iraqis, 3 per cent Pakistanis and 2 per cent Iranians. Other nationalities have included Algerians, Bangladeshis, Egyptians, Eritreans, Lebanese and Moroccans. *Data are based on communications between the Hellenic Coast Guard and IOM relating to arrivals in Greece through maritime borders from January 1st, 2016 to January 17th, 2016. 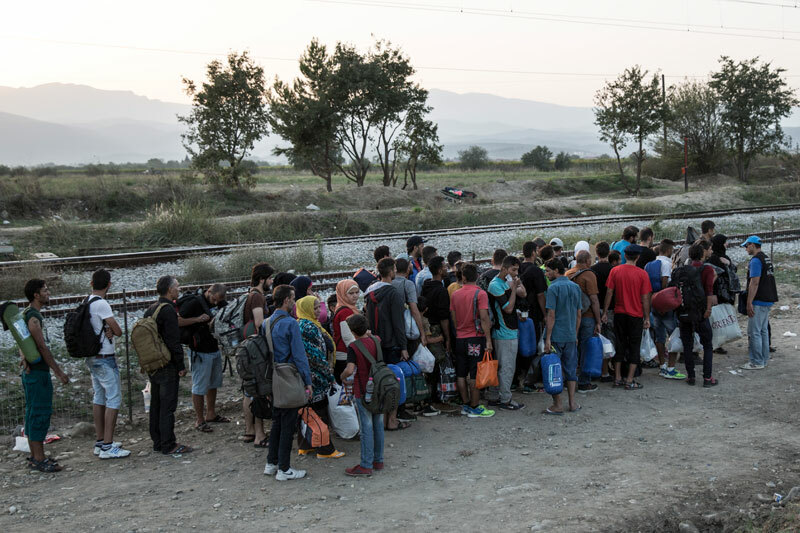 Almost 90 per cent of the newly arrived migrants are nationals of countries (Syrians, Iraqis and Afghanis) that are allowed to cross Greece’s border with the former Yugoslav Republic of Macedonia (FYROM). According to the Greek police, almost 31,100 have already crossed the Greek-FYROM borders this month. The death toll in the Aegean has also continued to rise with worsening weather conditions. Three shipwrecks have been recorded since January 15th, when the Greek Coast Guard rescued 20 Syrian and Iraqi migrants from a boat which capsized off Agathonisi Island. Three children – two boys and one girl - lost their lives. On the same day the Coast Guard rescued 63 migrants from another boat which capsized off Farmakonisi Island. One infant died. Meanwhile in Italy, 607 migrants have so far been rescued in the Channel of Sicily and brought to land since January 1st. Last weekend, 245 migrants – mainly Sub-Saharan Africans – were brought to Catania by the Coast Guard Ship Dattilo. Among them were 22 women and 58 Unaccompanied Minors. Together with rescued migrants, the Dattilo brought to land also the corpse of a dead migrant. "From the first testimonies, about 8 or 10 migrants went missing. Some migrants told us that during the sea crossing these people fell into the water and drowned," said the IOM spokesperson in Italy, Flavio Di Giacomo. Data on deaths of migrants compiled by IOM Research Unit. All numbers are minimum estimates. Arrivals estimates based on data from respective governments and IOM field offices. IOM’s Missing Migrants Project, which draws on a range of sources to track deaths of migrants along migratory routes worldwide, is managed by IOM's Global Migration Data Analysis Centre (GMDAC) in Berlin, Germany.